Leawood Mayor Peggy Dunn has filed for reelection. Peggy Dunn, the city’s top elected official for 22 years, has filed for reelection as Leawood mayor. Dunn came to the governing body in 1993 and served two two-year terms on the city council before being elected mayor in 1997. She’s been reelected five times since. (The city gradually transitioned from two year terms to three year terms to the current four year terms, so her elections have come at irregular intervals). 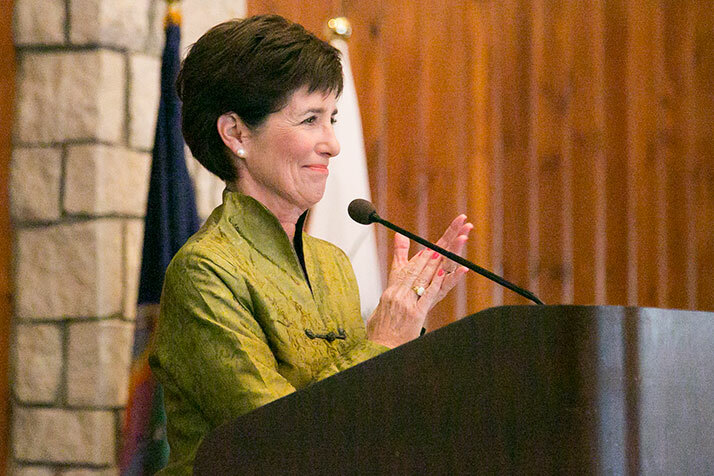 Over her more than two decades in office, Dunn has overseen explosive growth in the city. Town Center Plaza on 119th Street had just opened the year before she took office as mayor. Since then, Leawood has seen substantial expansion not only in its commercial base, but also in population and residential development. As the city heads into its eighth decade, though, Dunn said there will be a focus not only on continued growth — there are still sizable portions of 135th Street that are to be developed under the 135th Street Community Plan, for example — but on reinvestment in the city’s original northern neighborhoods. In other Leawood filing news, city council incumbents Andrew Osman, Ward 1; Jim Rawlings, Ward 2; and James Azeltine, Ward 4, have all filed for reelection as well. No other candidates are listed as having filed to run for office in Leawood on the Johnson County Election Office’s website at this time.